It was January 1993 in Glasgow, and Stuart Murdoch was sick. Bedridden with chronic fatigue syndrome, the frail 24-year-old had already dropped out of university and quit working. In the midst of that damp and dark Scottish winter, no longer able to afford heat for his flat, Murdoch decided to head somewhere warm. Hoping a move would strengthen his health, he drained his savings and bought a plane ticket to a place he had never been: San Francisco. He didn’t know then that this city would shape the course of his life, that it would lead him to learn the guitar, or offer his first chance to perform for American audiences. He didn’t know San Francisco would help inspire him to form a band that would make him famous. But then Murdoch didn’t know much about where he was going at all. It was the first time he had ever left Scotland. “I realized pretty fast [San Francisco] is my kind of town,” Murdoch explains late one recent night, his singsong accent making the trip sound like one of the aimless rambles in his songs. These days, Murdoch is the lead singer and songwriter of Belle and Sebastian, arguably the greatest musical export of his native land in the last 20 years: a quirky indie-rock band known for its delicate, poetic pop, devoured with cultish obsession by its fans and dismissed as wimpy and self-indulgent by its detractors. From its unlikely beginnings in a college music class in Glasgow, Murdoch’s band rose to the elite of indie music. Named after a French children’s novel about a boy and his dog that was later adapted into a TV series, Belle and Sebastian made albums that have sold hundreds of thousands of copies and cracked charts around the world — though the band has never quite achieved blockbuster commercial sales. While some of its original members have departed, the seven-member lineup has performed its lush pop in lauded shows worldwide, including a historic, sold-out show in 2006 at the 17,000-capacity Hollywood Bowl with the Los Angeles Philharmonic, and at numerous venues in the Bay Area. Volumes of lucid, delicate songs about loners who live in their dreams, about girls who screw random boys on buses for self-esteem, and, most recently, about seeing God in the street, have over the last decade turned Murdoch into the sort of adored popstar and poet he once obsessed over. The now-married, churchgoing 42-year-old is shy about his beliefs (“I don’t want to disappoint people,” he explains), but sounds quite serious about his own, low-dogma version of Protestant Christianity. “It’s far and away the biggest thing in my life,” says Murdoch, whose online diary tells of falling asleep during prayer broadcasts and gently mocks the reluctance of Catholic leaders to allow female clergy. Tonight, though, Murdoch is feeling fine, speaking softly over the phone from a quiet room in a new boutique hotel on Manhattan’s Lower East Side. He has just come from the band’s first U.S. show in four years, an almost-rained-out affair at the Williamsburg Waterfront in Brooklyn that earned glowing reviews. There, Murdoch and the band played new songs from their first album since 2006, the lush, lean Write About Love, which features a guest appearance from the unexpected likes of Norah Jones, among others. 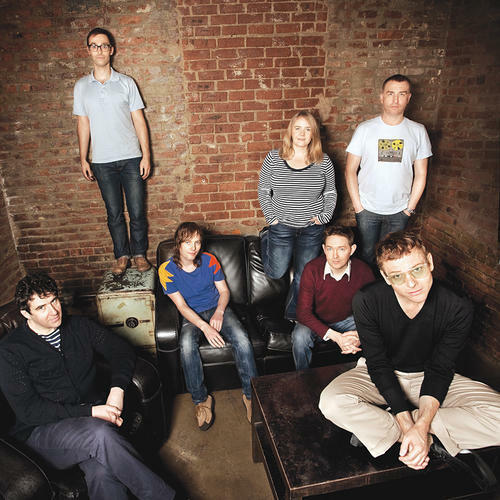 At the New York show, in keeping with its plans to keep most of the songs under wraps until the album’s U.S. release Oct. 12, Belle and Sebastian played only tracks already available online. “It’s not fair on the people who were waiting for the album to come out,” Murdoch told an inquisitive fan in his online diary. Playing Brooklyn was already more than Belle and Sebastian had planned to do in support of Write About Love, which Murdoch says the band wanted to release quietly, with no U.S. tour and little or no press. Our chat was the product of a lengthy negotiation and, at the time I spoke with him, only the second interview he had done for the album. It might seem strange that a quintessentially Scottish band would change its plans to perform in a city halfway across the world. But for Belle and Sebastian, and especially Murdoch, San Francisco is not just another city. It was here where Murdoch first began to shape his songs on the guitar. It was here where he first played his earliest tunes for an American audience — from behind the microphone at a college radio station. It was here where, over several months, he slowly began to recover from chronic fatigue, visiting support groups and taking walks through the city. And it was here where Murdoch — who once wanted to be a runner, and even studied some physics in school — cemented his determination to pursue music. So the still-frail figurehead of Belle and Sebastian doesn’t see this Sunday’s headlining set at Treasure Island as one more tour stop. For Murdoch, it’s another chance to make good on the promise he made to himself — and give back to a city that made him who he is today. Murdoch shares Ayr, the seaside town where he was born, with Robert Burns, Scotland’s greatest poet. This fact would become part of Belle and Sebastian’s creation myth for its cultish fans, although it’s hard to find any relationship between the two men other than their vivid writing. Like good poetry, Murdoch’s lyrics wield specific details that can seem extraneous at first, but ultimately lend the weight of reality to their subjects. And although the man sounds relentlessly optimistic over the phone, his lyrical themes are much darker — and at times, more hopeless-seeming — than his sweet, high-pitched singing or his faith might suggest. Some of that edge doubtless came from living in the crumbling industrial burg of Glasgow, Scotland’s largest city, where Murdoch went to university in the ’80s. After some years in school, chronic fatigue forced Murdoch to quit — and left gaps in his life that he eventually filled by writing songs on the piano. In the middle of a bout of sickness, during an unforgivingly wet and cold Scottish winter, Murdoch and a friend, who was also suffering from chronic fatigue, decided on a whim to go to California. They intended to go to San Diego, having read that it had the best weather in the country, but the plane stopped first in San Francisco, and so did they. Murdoch, then 24, had begun writing songs only about six months earlier and found himself in California without a piano, the instrument he had learned as a child. But the songs were still coming out of him. So while here, he learned the guitar — just the basic chords he needed to write songs. Those few fingerings were enough. When he ran into a student who happened to have a show at UC Berkeley’s KALX radio station, his exotic accent piqued interest. So Murdoch and his friend, feigning that they were a real band, got invited on the show to play some of their favorite records and perform their own songs. “I kind of got the bug after that,” he chuckles. “So we would turn up at college stations [around Northern California] and kid that we were sort of an established group and go on and play music.” He didn’t even have a band, but the young Murdoch was already on a mini-tour. On the day he had to return home, Murdoch remembers, the seminal D.C. post-punk band Fugazi played a show in Dolores Park. He’s still sad about not being able to go. But it was then, health improved, guitar skills in tow, first songs already written and performed, that Murdoch vowed to return to San Francisco with his own band. In early 1996, three years after that S.F. trip, Murdoch assembled a haphazard group of himself plus six others, acquaintances for a final project in a class at Glasgow’s Stow College. The idea was to record an album for release on the college’s own label and then move on. They had no ambitions or plans to become rock stars. “I thought perhaps I could make a record and then collapse back into my sickbed,” Murdoch remembers. He couldn’t. That seven-piece group became the original lineup of Belle and Sebastian. The album of precious daydreams and reverby twee-pop the band recorded would become Tigermilk — a debut that slowly spread through the U.K. via word-of-mouth. After positive attention was showered upon Belle and Sebastian’s quickly released second album, If You’re Feeling Sinister, the 1,000 original vinyl copies of Tigermilk quickly began disappearing or selling for hundreds of pounds in record shops. In the years between the initial pressing and the time Tigermilk was reissued, Belle and Sebastian’s debut album obtained a sort of legendary status — partly because so few could actually listen to it. 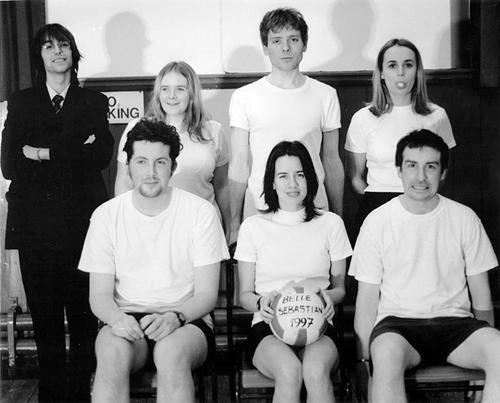 But since Belle and Sebastian formed as a class project, and not a band, the members’ abilities and expectations didn’t line up. Musically, they had far more ideas than performing experience, which made their early live shows weak, haphazard affairs that often failed to capture the subtle grace of the recordings. Murdoch, mostly recovered from chronic fatigue but never of robust health, struggled to record, write, tour, and do all the other things a songwriter and singer in a rock band is supposed to do. These factors contributed to the band’s negative reputation as a bunch of wimpy, wallflower types who couldn’t thrill a live audience. The personnel shifts altered the group’s songwriting and sound as well. On Belle and Sebastian’s next album, 2003’s Dear Catastrophe Waitress, the bass got thick. The guitars got dirty. Pop wizard Trevor Horn’s production is crisp, and the arrangements emphasize the percussive, thrusting rock ‘n’ roll elements of the songwriting. Smutty single “Step Into My Office Baby” got the group a radio and MTV hit. And the live shows carried the muscle of this new sound. It is on this wavelength that the band has continued since 2003. Early fans may find less mysterious beauty in the group’s current sound — Murdoch has quipped, not altogether kiddingly, that the music he’ll be best known for is behind him — but the band as a whole seems far more comfortable these days. Write About Love contains some of the band’s catchiest songs, and some that rank among its quietest and most trying. Perhaps the most risky cut is “Little Lou, Ugly Jack, Prophet John” — a typically daydreamy number about a girl who can’t find a boy as alluring as Lou Reed, Jack Kerouac, and John Lennon, her musical and literary heroes. It features the unmistakable, creamy vocals of one Norah Jones, jazz pianist, daughter of Ravi Shankar, and adult contemporary megastar. During the song’s recording, the band played live in the studio, while Murdoch and Jones sang face-to-face in the vocal booth. “She sort of took over, to be honest,” Murdoch chuckles. That may be why, apart from the lyrics, it sounds more like a Norah Jones song than a Belle and Sebastian one. Elsewhere, Murdoch describes his faith directly. The essence of “The Ghost of Rockschool” is its refrains about seeing God in puddles and streets and other small things. “I don’t want to disappoint people, but there isn’t an hour in the day in which I don’t think about an otherness — seeing God and even being thankful for the present moment,” he explains. 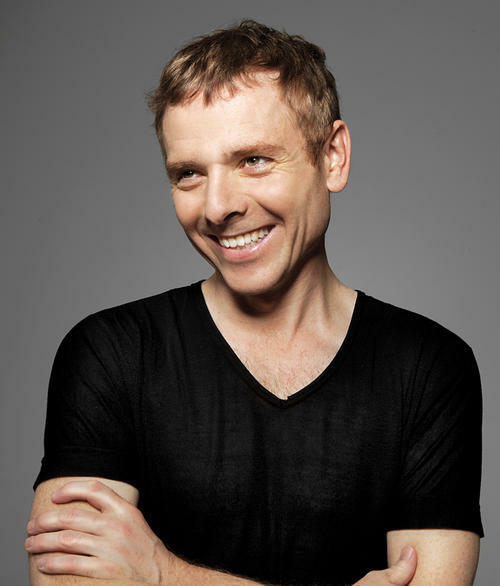 Belle and Sebastian headline The Treasure Island Music Festival in San Francisco tomorrow. Full tour details here. 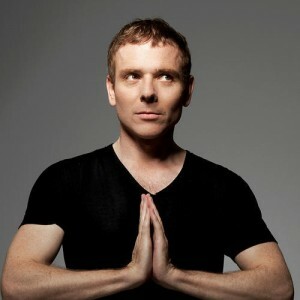  Archived in Music, Interviews and tagged Belle and Sebastian, Interview, Scotland, Stuart Murdoch, video. Bookmark the permalink.